Fitness and health are increasingly popular subjects in the world we live in today. And, just like any popular subject, both professionals and hobbyists find ways to share their findings, personal experiences and individual opinions. Fitness-related blogs populate the web in high densities. Because of this, word pertaining to fitness equipment, supplements and technology quickly grows viral if the evidence and results provided demonstrate success and are corroborated by prominent fitness influencers. Just think about it for a second… Have you ever watched, in sheer amazement, an infomercial trying to sell a ridiculous piece of fitness equipment? You know, the kind where the people selling the device don’t even know how to use it properly, let alone look like they believe in it. If not, just cruise through 50 or so channels on any given saturday morning and you’re bound to find a sorry demonstration. But what about the advances in fitness equipment that people can actually take advantage of to optimize their workout time? Of course, there is no easy route to health and fitness, but that doesn’t mean there isn’t a more efficient route. 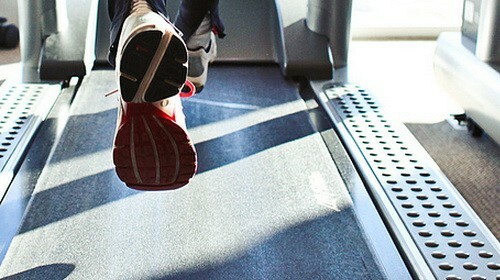 Let’s take a look at some positive advancements in fitness technology over the past few years. This reigns true especially for exercise bikes, elliptical trainers and treadmills alike. Before, elliptical machines, exercise bikes and treadmills worked with little more than a few buttons, if any at all. In fact, some early elliptical machines and exercise bikes didn’t use electrical power at all. Today, however, you can find elliptical trainers, exercise bikes and some of the best treadmills on the market fully equipped with state of the art technology. “What technology?” you might ask. Well, unless you own one of these awesome pieces of equipment or have access to them at your local gym, then you might be a bit surprised. We all know these machines are primarily used for easy access and to eliminate the need to train outdoors, but now they are getting smart. Before, the user was required to jump on the bike and manually crank the resistance up or down, whereas today, many models come equipped with very smart technology – like touchscreen displays and computer interface. These touchscreen displays wonderfully optimize workouts by providing custom feedback, enhanced monitoring and fitness progression charts. For example, a user who engages with their elliptical machine on a daily basis can see how far they’ve come from the beginning of their workout journey. This not only educates the individual, it motivates them! Knowledge is power. Furthermore, some exercise machines even communicate with the user’s phone or tablet. This feature allows the user to track progress and plan workouts while away from the machine. It never hurts to take a deeper look at how far you’ve come to acquire insight into how far you’ll go.